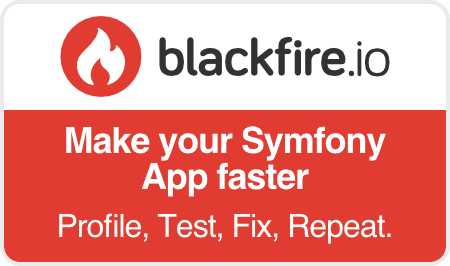 SymfonyConnect is the professional network for Symfony developers. Create your profile and start collecting badges now! Upcoming events organized by the Symfony Community. Symfony is committed to foster an open and welcoming environment for everyone. Read the Symfony Code of Conduct which governs all the official Symfony code repositories, activities and events. Meet the diverse team in charge of enforcing the Code of Conduct and review the reporting guidelines to notify us about Code of Conduct violations. Take part in the Symfony Diversity Initiative, a repository of ideas to improve diversity. Follow the diversity news and updates from the official Symfony blog. Whatever your skills or level, you can contribute to Symfony in lots of different ways!